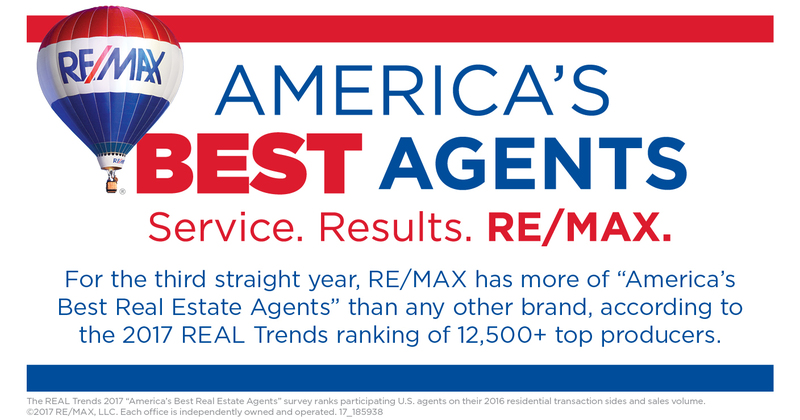 Referrals can be a big source of a real estate agent’s business and can be key to keeping your business flowing year-round. About 40 percent of the real estate agents recently surveyed by the ReferralExchange and the Council of Residential Specialists say they receive about one to five referrals per year. Another 20 percent say they receive six to 10. 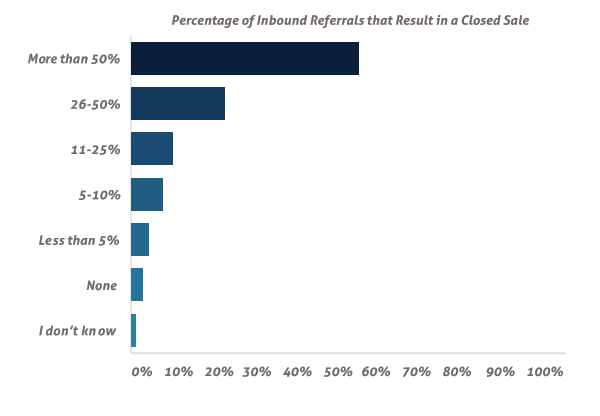 Inbound referrals tend to result in a closed transaction the most. 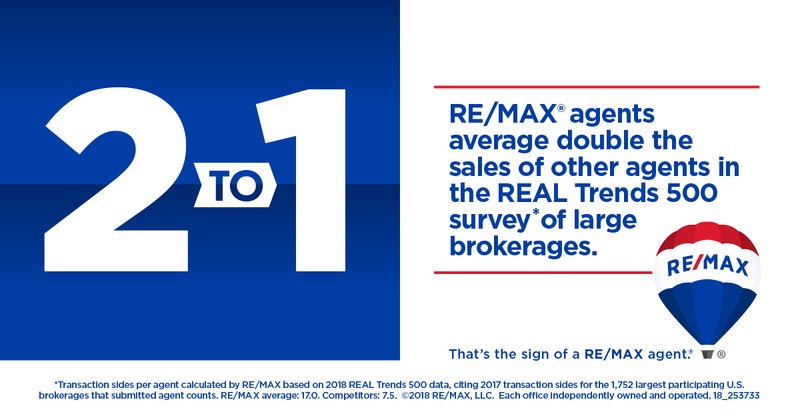 The highest rate of success in closing a transaction is when a referral came from the agent’s own sphere of clients, according to the real estate professionals surveyed. The next best referrals came from referral sources like their brokerages and corporate referral sites. More than 40 percent of survey respondents reported that more half the referrals they send out result in a closed sale. Another 20 percent estimated that they see a quarter to half of their outbound referrals close. 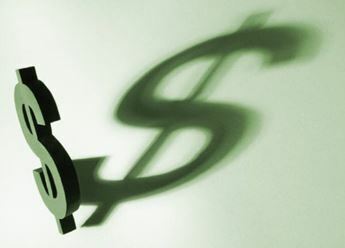 The main factors that determine whether a referral will close include the seriousness of the client about buying and selling; their connection to the person who referred them; and whether they trust the person or system who referred them. 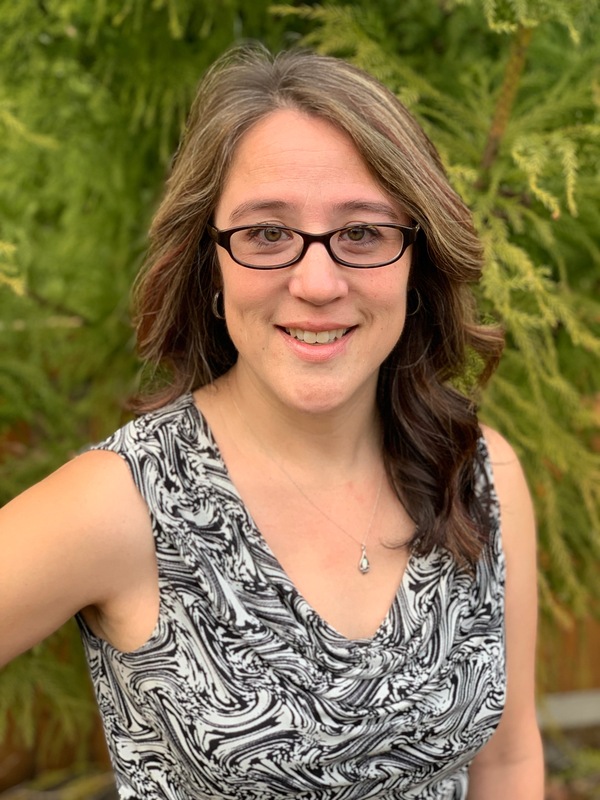 “The greater the connection to the source, the more likely the referral is serious and will lead to a closed sale,” the study notes. It’s out! 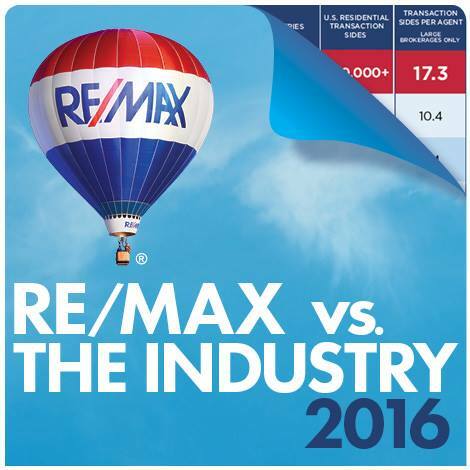 RE/MAX agents again claim the title of most productive among the national real estate brands. 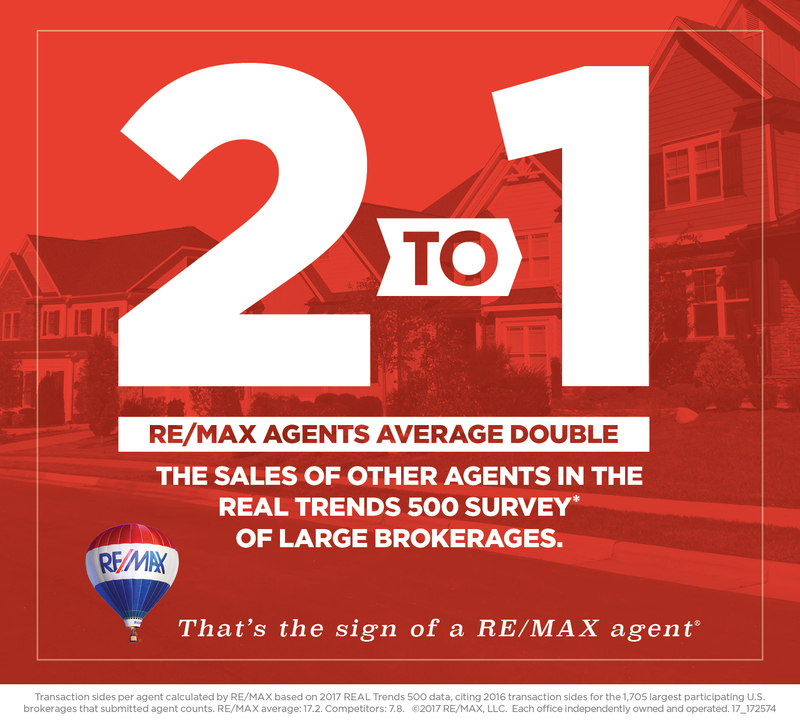 An analysis of the data contained in the 29th annual 2016 REAL Trends 500 survey shows that RE/MAX agents are more than twice as productive as the average of all other agents in the report. 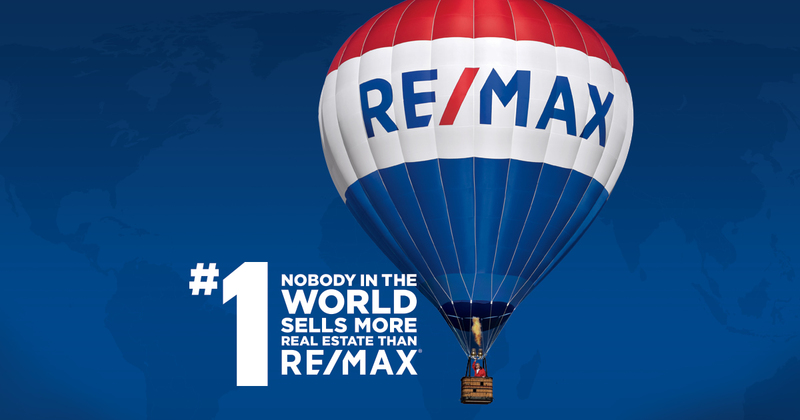 Productive agents, an unmatched global presence and the premier real estate brand. 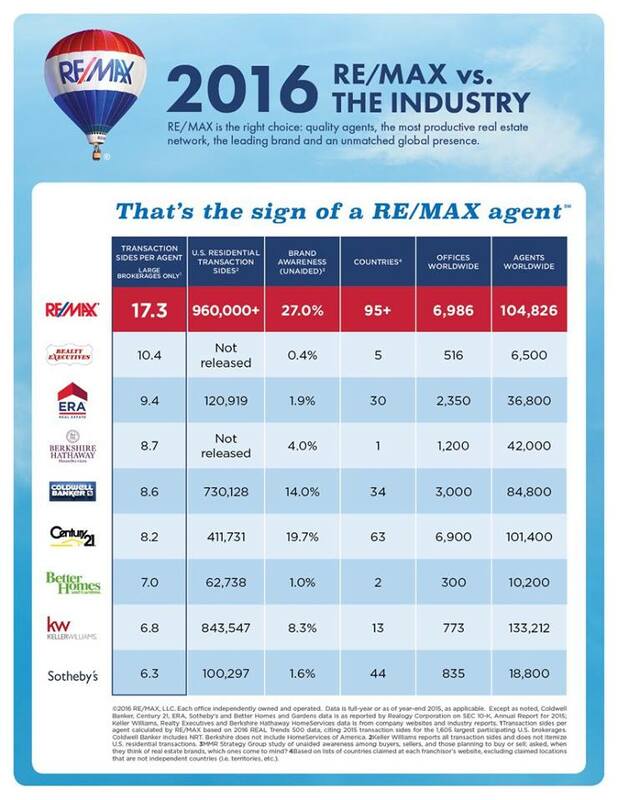 It all adds up to another banner year for RE/MAX agents and their clients!